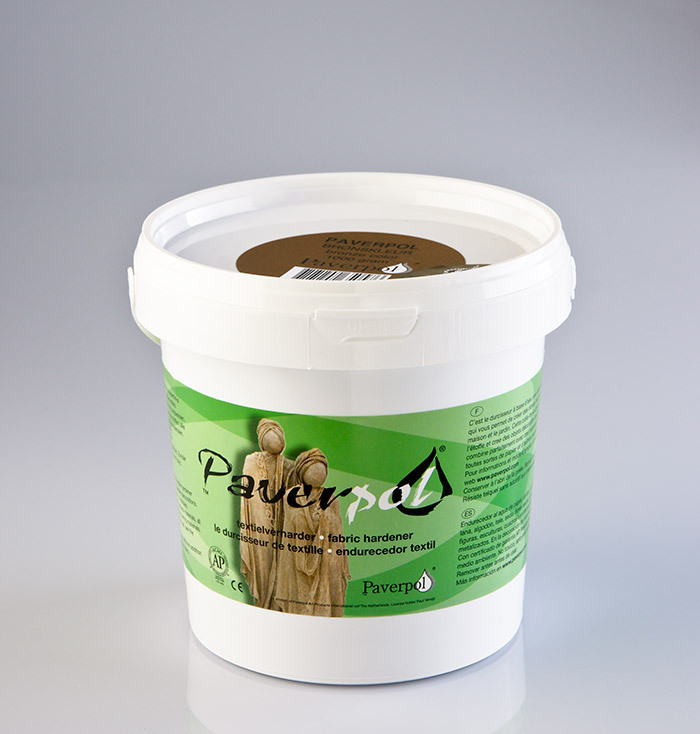 Paverpol is a polymer, it means that natural materials that have been hardened with it might go soft when exposed to very warm surroundings, for that reason make sure every piece of material that is sculpted ‘against gravity’ gets a strong internal support/frame using either wire, wood, etc., to prevent it from sagging or collapsing in warm surroundings. When using Paverpol in very humid weather or when it stands in a very humid area the sculpture could get white areas or spots. Bring it into a normal temperature-area and leave it to dry for a few weeks; it will disappear. Available in transparent, Black, Bronze and Grey, light skin color 500 gram, 1000 gram and 5750 gram containers.